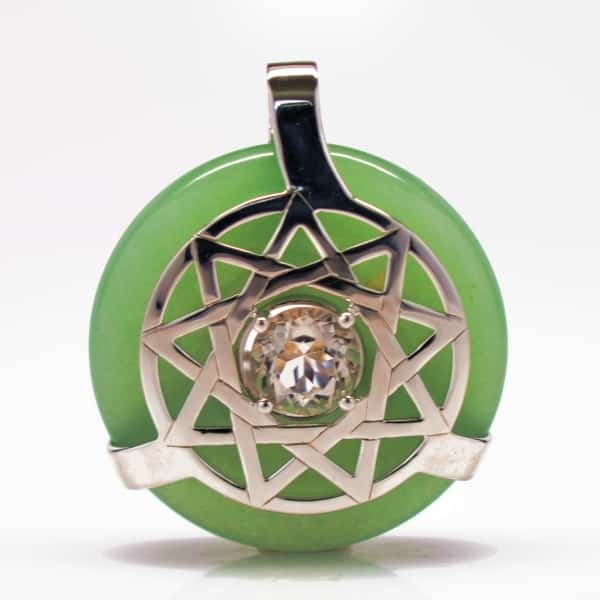 Regenerate a weary heart, radiate more green energy to attract love or prosperity in other aspects of your life with this captivating Green Aventurine w/Clear Quartz Trinity Star Amulet. 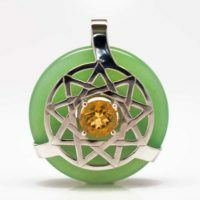 As a master stone, the center-cut quartz can be programmed for any intention and will amplify the clarifying, auric balancing, and heart chakra activating properties of aventurine. 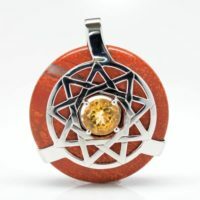 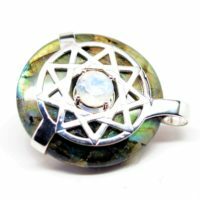 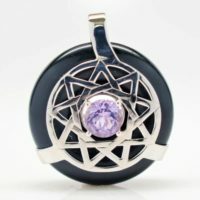 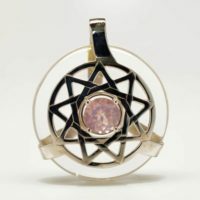 All stones and the sterling silver 9-point star are infused with our exclusive LightShield™ scalar frequencies which increase the vibrational resonance of this incredible Quantum Stone pendant line. 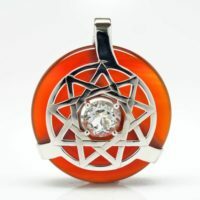 Quantum Stones’ Signature Trinity Star Amulet Series features only authentic high-quality (A, AA, and AAA rated) stones, crystals and gemstones. 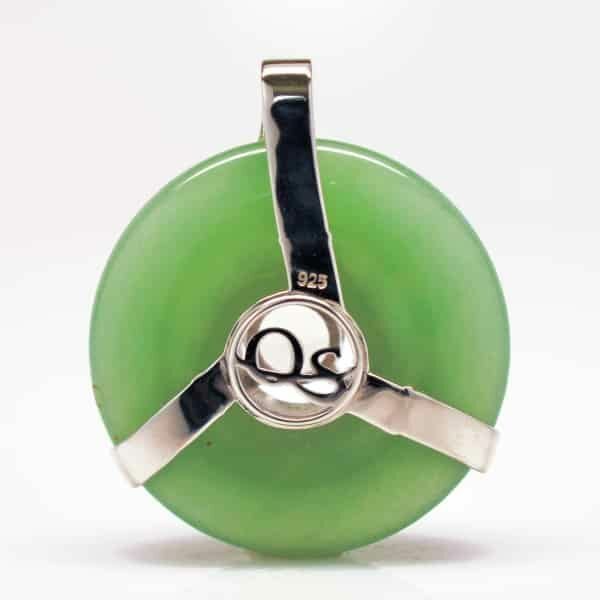 Each hand-crafted piece features a genuine 10 MM faceted gemstone. 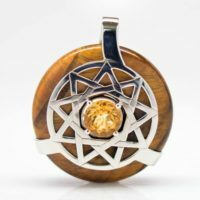 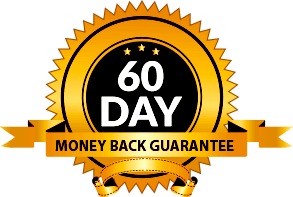 Each amulet is quantum infused using our exclusive Light Shield™ scalar waves frequencies and embedded with with 3 powerful sacred harmonics programs – the Sound of the Sun, Sound of Earth, and Shield My Aura. 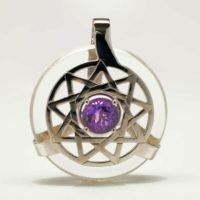 For a small up-charge you can customize and upgrade your amulet with up to 3 additional frequencies or opt to add a .095 sterling silver chain. 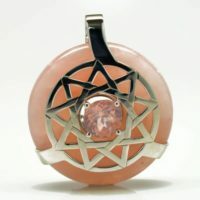 Included with every pendant is a free leather cord (22, 24, or 26 in.) 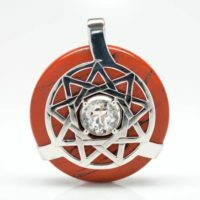 and gift box! 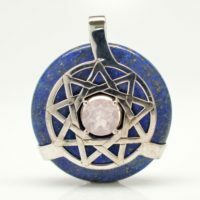 Clear Quartz 10MM Crystal: This easy to program master stone amplifies the vibrational energy of all stones to promote higher vibrational resonance, auric balance, and chakra activation for tapping into astral realms…perfectly complements any Trinity Star Amulet. 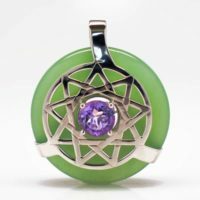 Be the first to review “Green Aventurine w/Clear Quartz – Trinity Star Amulet” Click here to cancel reply.